Dr. Sirault described his career path and encouraged the young researchers present—Nurul Hidayatun, James Quilty, Yoichiro Kato, ESMH Rashid, and Reneeliza Jean Melgar—to know their career goals and make a plan. He also described some new phenotyping technologies and the status of phenomics centers in Australia. 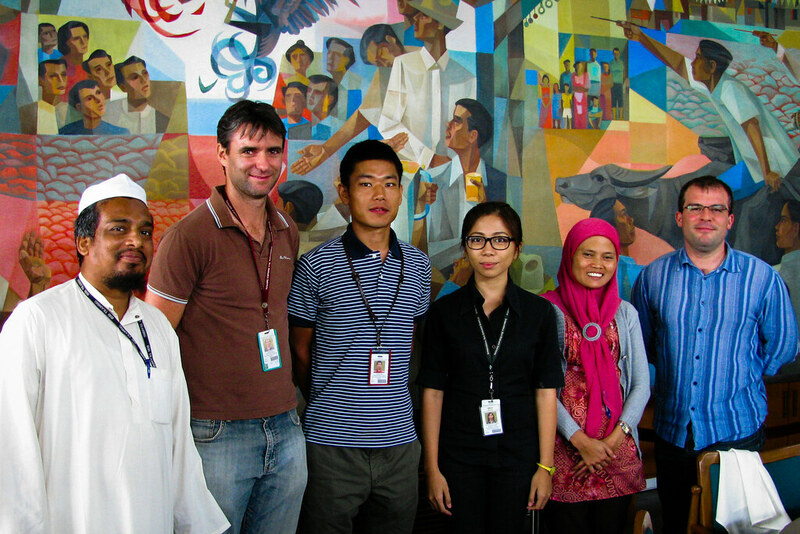 The Young Researchers Lunch is a monthly meeting for IRRI scientists who are in the early stages of their career. The purpose is to provide an opportunity for discussion with senior scientists on a range of topics that include science and career paths.